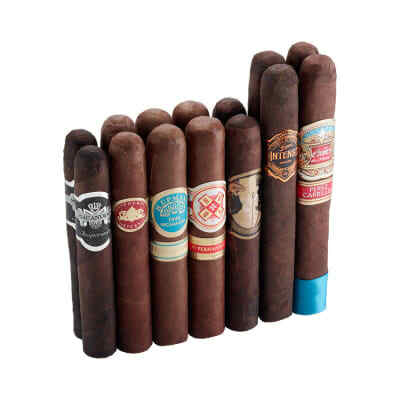 A better name for this sampler would be the 'SAVE Money' Smoker's Selection.' 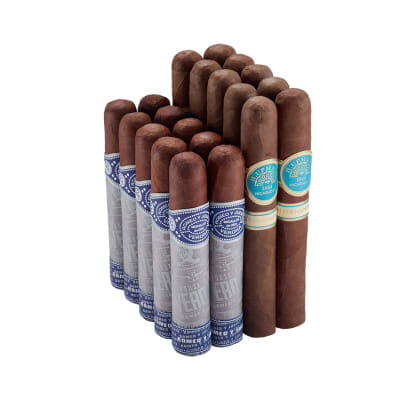 You'll enjoy 10 pairs of the best cigars from such brands as CAO, Camacho, COHIBA, Oliva, Perdomo, Rocky Patel and more, at a GREAT LOW price. 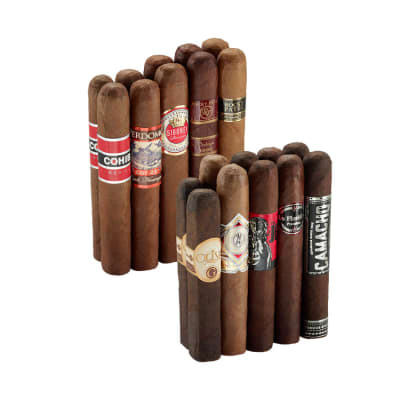 There's no smarter way to refill your humidor. Add them to your cart NOW. This is really nice place to start for all experience levels but especially for the beginner. A couple I have never tried but all were excellent. Did not have a bad stick in the bunch. The price is a tad higher than some of the other samplers but offers a good balance of upper midrange quality. I decided on this set because I was looking for a nice priced everyday stick and needed something new. Fuente is my usual daily carry and Riga pravada 9 is my weekend warrior. 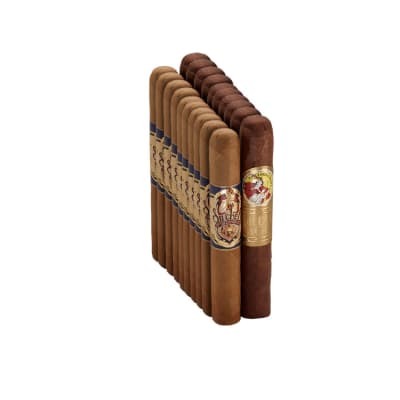 Still narrowing down the bunch but I really like to smoke minimum of 2 before buying a box. Overall very tasty collection of saliva dripping tobacco pops.